Hi! My name is Kelly Kasle and I am a senior bassoon performance major at the Eastman School of Music. As I prepare to leave and move on to graduate studies or professional work, I find myself reflecting on how this school has changed my life. 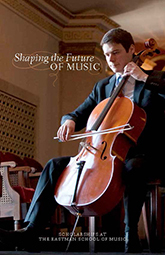 We are proud of the Eastman School’s international reputation for excellence and are grateful for the generous alumni, parents and friends who ensure we have the resources to provide our students with a world class education. 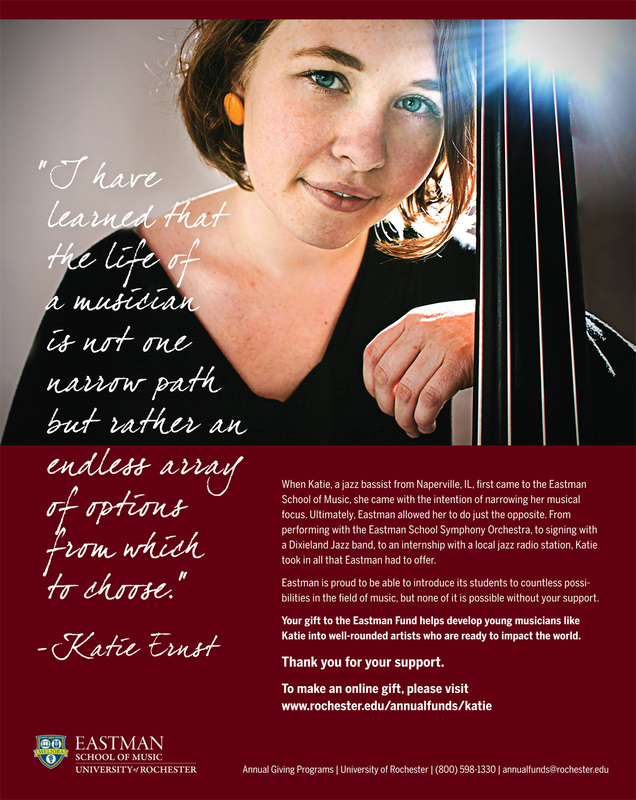 Gifts to the Eastman Fund are unrestricted in purpose and support Eastman’s core needs such as general student scholarship, innovations in teaching and learning, and Eastman’s performance and teaching facilities. 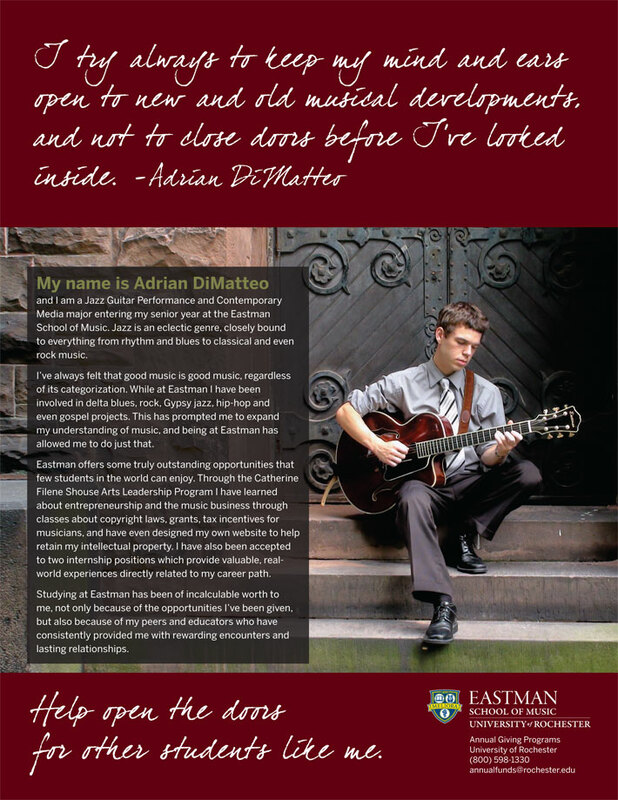 By making a gift to the Eastman Fund, you are investing in the promising futures of our students. We value your participation at every level; please make a gift today! In Support of Student Scholarships Gifts to the Eastman Fund provide scholarship support that is vital to sustaining Eastman’s tradition of excellence. Without limitations on major, instrument, or class year, general student scholarships afford Eastman greater flexibility in offering competitive financial aid packages to the most deserving students. In Support of Innovative Initiatives The Eastman Fund provides important support that is essential to realizing innovations that expand learning and performing opportunities beyond the classroom and performance hall. In Support of State-of-the-Art Resources Eastman’s campus is a reflection of the institution’s esteemed past and its promising future. Our annual giving program has long been an important source of funding used to build and renew Eastman’s fine campus. We invite Eastman alumni, parents and friends to join the George Eastman Circle, a University-wide leadership annual giving society. Members of the George Eastman Circle make a five-year unrestricted pledge of $1,500 or greater annually. The George Eastman Circle offers us a wonderful vehicle to help us expand our base of annual support dramatically. Parents are an essential part of the remarkable community at Eastman and we look forward to your support and involvement in the Eastman experience. Gifts to the Eastman Parents Fund help support scholarships, educational enrichment, career development, and innovative initiatives, including master classes, ensemble tours and student travel, and other opportunities. As a Friend of Eastman Opera, your contribution will support students, programs and productions of the Eastman voice and opera department. FEO’s student support comes in the form of master class presentations, guest adjudicators, a voice competition, student opportunity grants, website development, audience development, marketing and the purchase of needed equipment. Give online or by check. Find the Friends of Eastman Opera on Facebook and [LIKE] the FEO page. 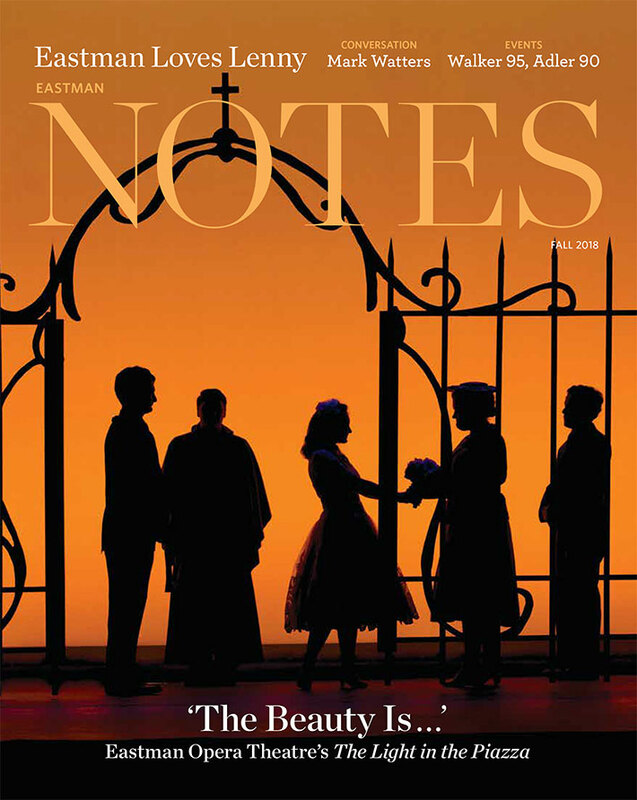 For more information about supporting opera at Eastman, contact the Office of Advancement at 585-274-1040.